One of the series of posts that I’ve produced that have received the most comment and views is the Fun is Where You Find It series. This series of posts is designed to help you do something fun for next to nothing. The fun today was started when someone gave me a basket filled with goodies for a special event. The basket is really interesting because it looks like a little house. Rather than put the basket aside as a means for packaging someone else’s gift, I decided to make something interesting for me in the form of a basket with silk flowers to decorate the house. Silk flowers are especially nice during the winter months because they perk the house up when there aren’t any real flowers available (except at a premium rate from the florist). The basket was free, of course, and I did find a few flowers in the craft closet, but this turned into one of my more expensive projects. I spent about $20.00 in total for the supplies that I used for the basket. The first need is floral foam to use to hold the flowers in place. Floral foam comes as dry and wet blocks. For a project of this type, you need dry blocks. The blocks will require shaping. All you really need is a good utility length knife. Carefully cut the foam to fit the inside of your basket. Of course, you also need some silk flowers and greenery. A friend and I went to a craft store and had a wonderful time perusing the assortment. I tried to shop carefully. It almost looked like I had too many flowers at first, but I amazingly didn’t end up with much left over. 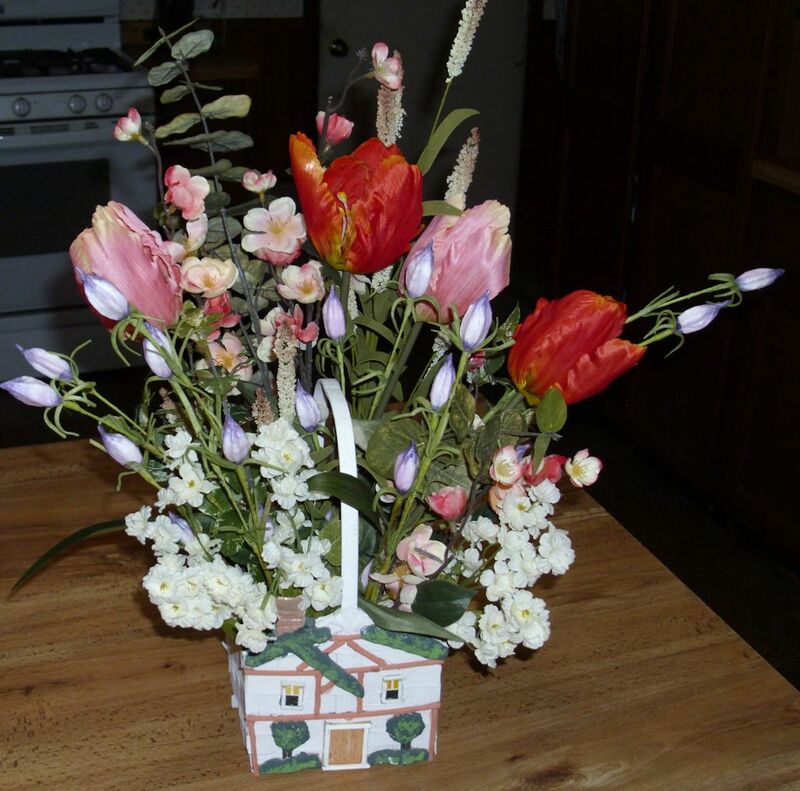 The flowers are always provided long, so you need a diagonal cutter to safely clip the stems to length. The diagonal cutter was the only tool I needed to get the job done besides a good, sharp, knife. Here’s the results of my efforts. Even though this isn’t one of my less expensive projects, it should provide a nice decorative element for my home at a price far below what I would have paid for a finished item at the store. Let me know about your latest crafting project at John@JohnMuellerBooks.com.